If you’ve ever thought about buying a franchise, you may have wondered whether hiring a franchise broker would help you make the best decision. Since I have a wide array of knowledge on this topic, I have decided to give you the inside scoop on franchise brokers and the experience of buying a franchise with their assistance. Here are a few of the top questions I am asked. What’s the difference between a franchise broker and franchise consultant? 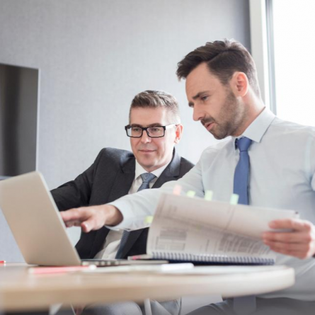 The relationship between the franchise consultant and their client is best described as “consulting.” They help their candidates buy the franchise that best fits their skills, prior experience and personal lifestyle. The relationship between the franchise consultant and the franchisor is best described as “brokering.” In the eyes of the franchisor, the franchise consultant is arranging a transaction between a buyer and a seller in the hopes of receiving a commission. This is the definition of a broker. Throughout this article, you will notice I use these terms interchangeably. Why do franchisors pay brokers commissions? Many industries put a premium on professionals who act as skilled matchmakers and pay them commissions for bringing in clients. The franchising industry is no different. For example, when a long-term commercial lease is signed, commercial realtors are typically paid on the life of the lease. If a client pays $120,000 per year in rent and they sign a 10-year lease, the realtor gets a percentage of $1.2 million. Franchise consultants are paid from the franchise fee, but the franchisors are in the business of collecting royalties, which they will collect continually from each franchisee the broker matches them with. What’s the difference between a broker network, broker organization and independent brokers? Broker networks and broker organizations are very similar. My company is considered a broker organization. The main difference is that broker networks earn their revenue from the money you, the franchise buyer, is paying to the franchisor. Broker organizations only collect membership fees from the brokers and franchisors. They never earn revenue from the franchise buyer directly. In franchise organizations, there is a no-pressure environment since they don’t earn any more or less if you buy a franchise. Independent brokers are lone wolves. No one can determine how much experience they have or how ethical they are. Brokers who are part of broker networks and broker organizations are professionally trained. They also continue to educate themselves through their respective groups. What red flags should I look for when working with a franchise broker? If you’re working with a franchise broker and get the sense they’re pushing you to buy more than one territory, put the brakes on and reevaluate. If you’re only comfortable buying a single franchise territory, then only buy one. If you get the feeling the franchise broker is pressuring you in any way, discuss it with your franchise attorney immediately. Only do what you feel comfortable doing financially. It’s always a good idea to investigate your broker and their affiliations before getting too involved. If you work with a franchise broker, ask these questions. • How many franchises do you represent? Not all franchises work with brokers. Some franchise brokers have hundreds of options to offer, and others have as few as 50 franchises they work with. More options in multiple categories are always better. • If there’s a franchise outside your network, can you help me with it? Many broker networks restrict brokers from working with franchises outside their network. A broker who doesn’t have this restriction can give you more options. Franchise brokers can guide you in the right direction, and now you know the red flags to look out for. Of course, in addition to using a consultant or broker, you must seek the help of a qualified franchise attorney and accountant prior to purchasing. Then, the next step is to speak to franchisees in the system.